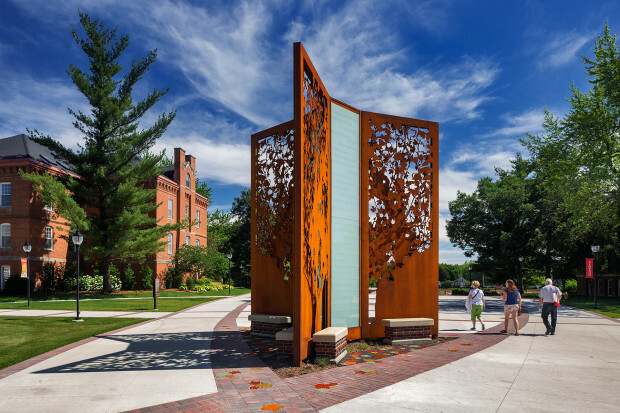 Based on the book entitled “Beneath the Whispering Maples: the History of Simpson College” by Joseph W. Walt, the monumental icon creates a destination experience for students and faculty, families and visitors. 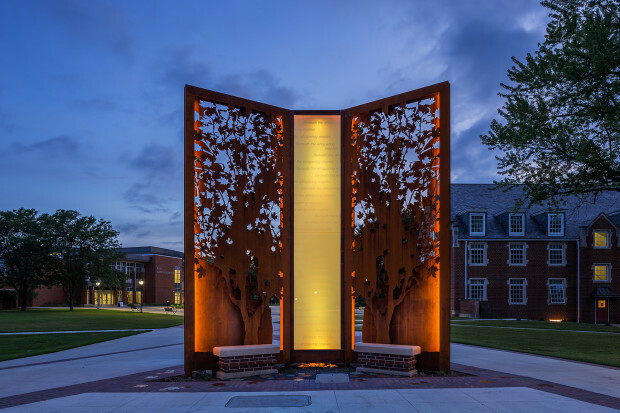 The icon has become an emotional touchstone, a symbolic connection between the College and Community, in harmony with our natural environment. 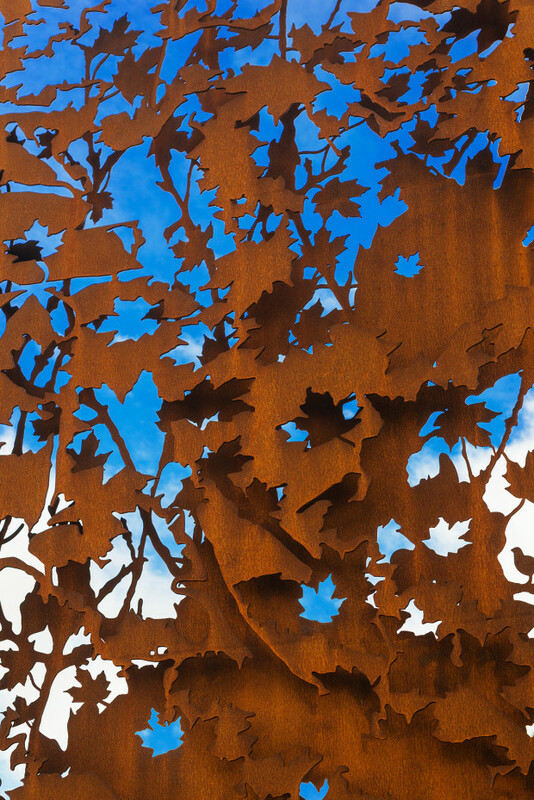 The sculpture, 20’x24’, is made of laser-cut weathering steel, LED interior illumination, glass, printed film, and custom ceramic leaf pavers. 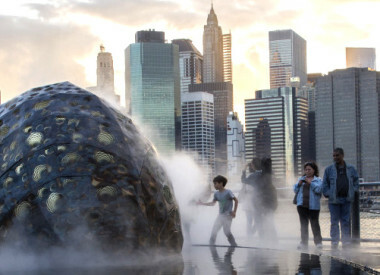 The sculpture reaches out to cast dramatic shadows in daytime and includes programmable lighting, thoughtful of the site as it changes from day to night. The icon functions in many ways, a storied artifact and wayfinding marker, pivotal to the site. 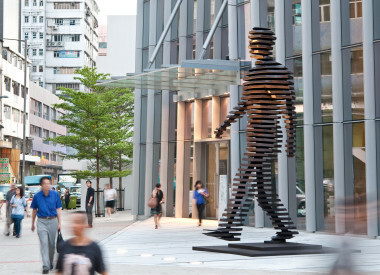 Strategically placed within the pedestrian plaza, the sculpture is a focal point of the streetscape transformation. The form responds directly to the triangular intersection of the surrounding walking paths. 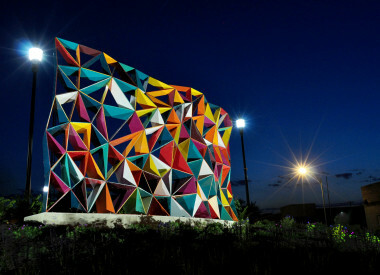 The icon is not a “stand-alone” object, but is thoughtfully integrated within the context of the surrounding campus, connected not only by history, but in color and material selection as well. Handmade maple leaf ceramic pavers appear to have fallen from the tree above, making dramatic connections with the site. People are invited to sit and read, to meet, and to have their photographs taken as a memory of being on campus together. 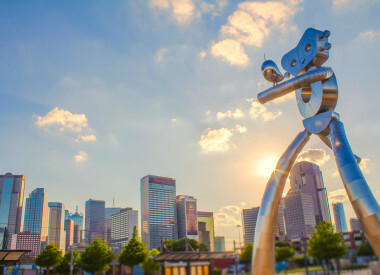 The project began intended to change an existing street into a new pedestrian corridor. 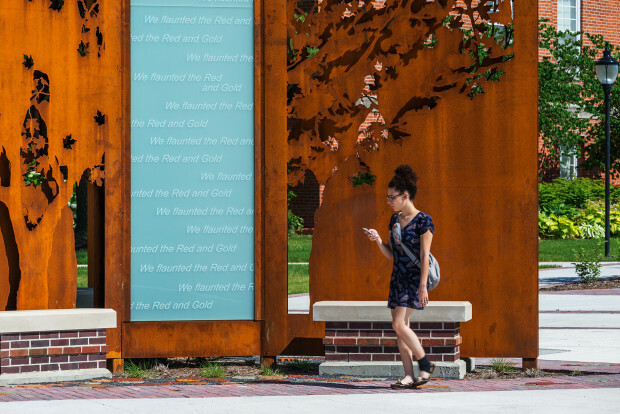 Without the purposeful integration of this central sculpture, a new cultural landmark, the re-imagined and reinvigorated campus experience would not have been achieved. A college campus is a unique type of community, in and of itself. 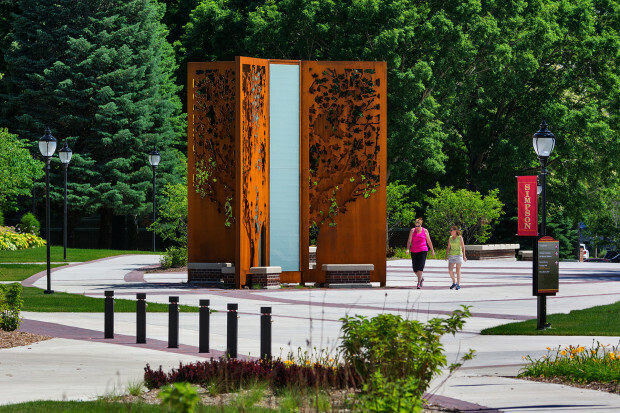 The primary objective for integrating the sculptural icon was to make the center of campus a special destination not only for the college, but a place that would unite the community as well. 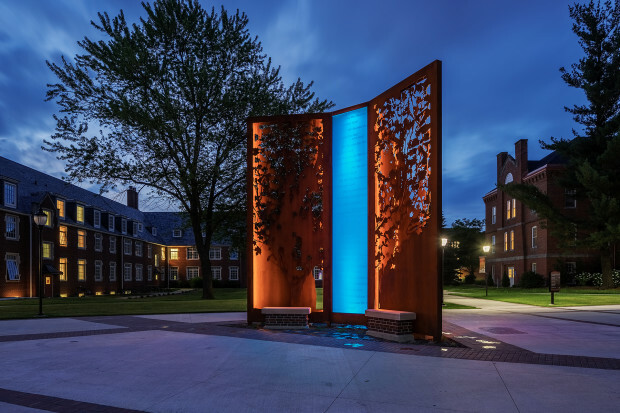 The concept for the icon grew directly out of a thoughtful and involved collaboration between the Artist, the design team of Landscape Architects, Engineers, college administrators, students, faculty, and the town that surrounds the campus. Many different design alternatives and reiterations were developed and fine-tuned based on a meaningful and embedded narrative. 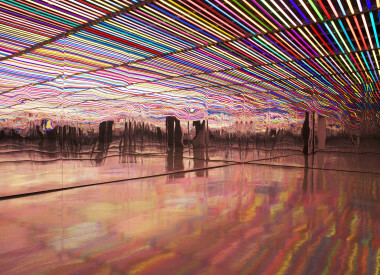 This collaboration included public input from concept to installation. 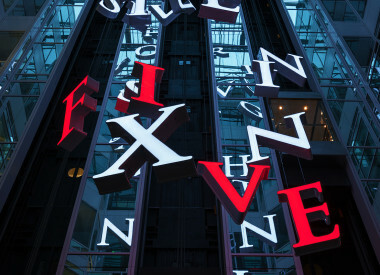 The “story” and the visual communication of that story could only have happened through a careful collaboration, shared and documented throughout the process.